There has been an inconvenience in implementation for Google’s mobile payment systems. In all these years Google has failed to provide a universal online payment mechanism to Android users. However, there seems to be drift in favor of Google this year, as reports suggest, Google will soon hit the mobile payment system with a new payment API with the name of Android Pay. The new payment method will be announced in May this year in an I/O Conference. Lets take a look at the novelty of Android Pay and how does it stack in front of Apple and Samsung’s payment methods. The new Android Pay is built from the group up which is totally opposite of the Google Wallet. By the look of it, Android Pay will most likely to integrate the payment systems with third party applications through developers and users can register and authenticate their credit and debit cards. Google is emphasizing on one tap payment operation so developers and users can transact with ease. Now for the most important aspect of Android Pay – The API will solely be based on the HCE technology (Host Card Emulation) which is connected to the NFC chip inside your smartphone. Similar plans were heard a week ago, where Google was up to a revamped Google service. This service was to be released at the I/O conference as well and reports suggest that Google is aiming to bring carriers, device manufacturers, payments and banks together which will aid in supporting Google’s own platform to provide a stress free transaction system. 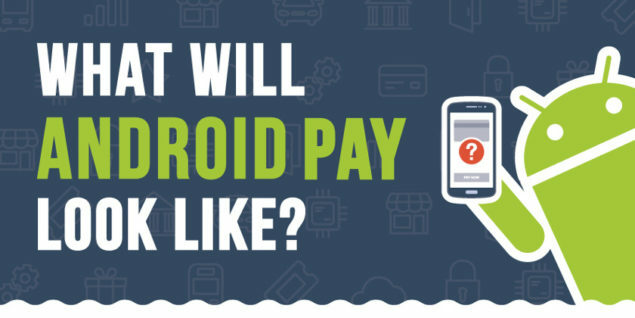 Source also portrays that Google Wallet and Android will co-exist but Google Wallet would be integrated with Android Pay. For example, Google Wallet’s Instant Buy API’ is already present so developers could enhance more operations with the same command as ‘Buy With Google’. This could be cumbersome to get but will be integrated probably to receive payments from both ends, Google Pay and Android Pay. This year, Google is really stepping in the game for mobile payment systems. Other than this, third party companies and developers are already integrating their API’s to Google. There have been news of Google testing a Bluetooth enabled payment system which we will soon hear. Among the acquisitions, Softcard also made its way to Google in the previous days. Do stay tuned for more and share your insights with us in the comment section.